Couples can apply and pay for a marriage license as well as locate a performer to complete the ceremony. Performers may also register online to be licensed by the state. Civil Union License Application Couples can apply and pay for a civil union license as well as locate a performer to complete the ceremony. Performers may also register online to be licensed by the state. Land Use / Wedding Permits Permitting service for authorized applicants to reserve and purchase permits for commercial activity on unencumbered land, specifically, state public beaches. Commercial activity examples may include: beach weddings, the scattering of ashes, or the teaching of a hula class. Marriage Certificates, Hawaiʻi Order a Hawaiʻi marriage certificate online. Marriage Performer License Registration Submit your application online to become a licensed marriage and/or civil union performer. Name Change Allows individuals and couples to prepare for, pay, and track the name change process online. Get a copy of a birth or marriage certificate? You can order certified copies of birth and marriage certificates online. Certificates will be sent to you via postal mail in 4-6 weeks. If you are unable to order your record online, you will need to order the certificate by mail, in person, or by phone. 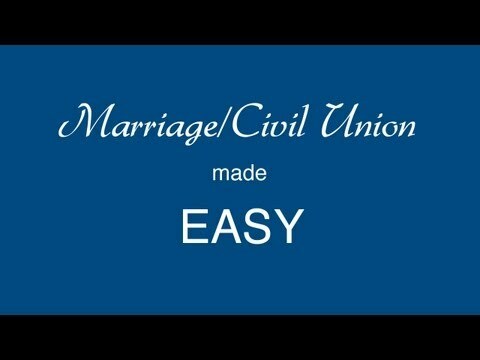 Who is Eligible to Apply for a Marriage License?